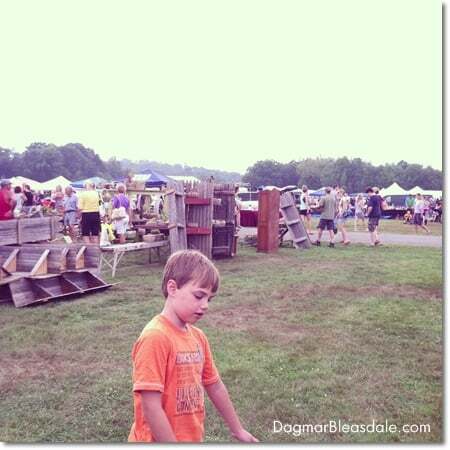 I was saving the pictures I took at the Stormville Airport Antique Show and Flea Market in Duchess County, NY, for a special post, and here they are. It rained a bit while we drove up there and it was hot and muggy, but we were lucky during the two hours we were there. Oh, all the treasures we saw! Don could make these out of recycled fences. Great upcycling idea. 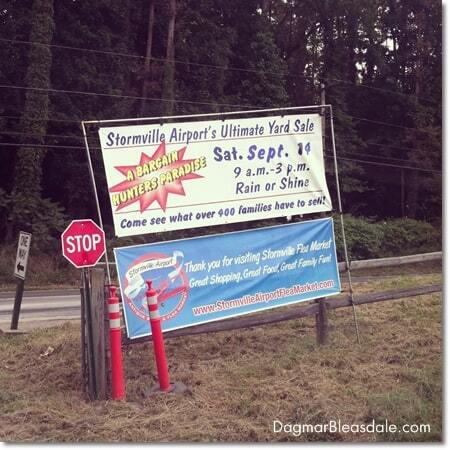 The Stormville Airport Flea Market is huge and has about 500 vendors and a dedicated area for vintage and antique vendors, so that’s where I parked close to. 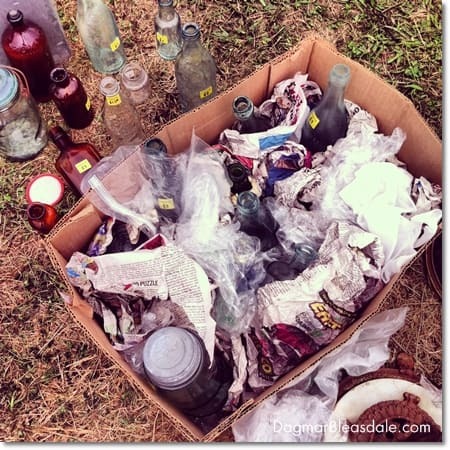 It didn’t take long for me to find some vintage bottles and mason jars, and I bought a box full of them and dropped them off at the car so I didn’t have to lug them around. 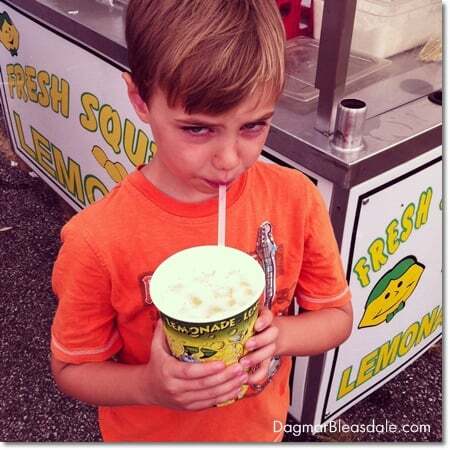 Then it was time for some lemonade. 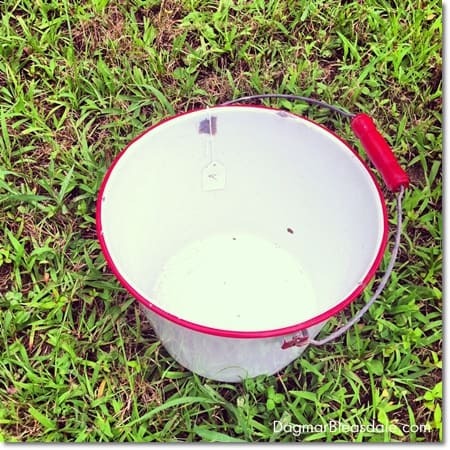 Another treasure I bought: this vintage enamel bucket. I’m saving the reveal of the other things I scored for my next “Thrifty & Vintage Finds” link party. 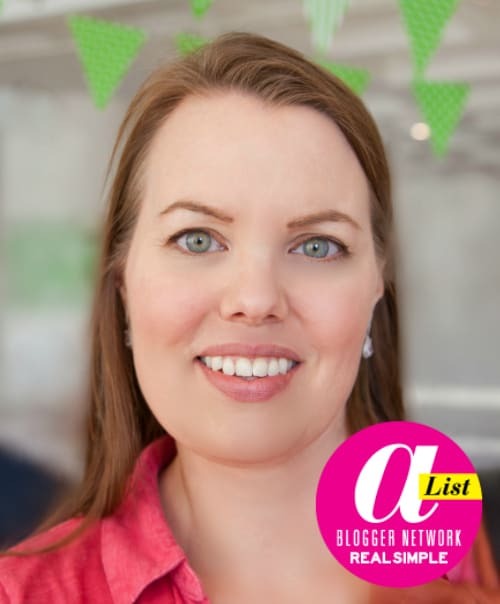 There is still time to link up for a chance to get featured! 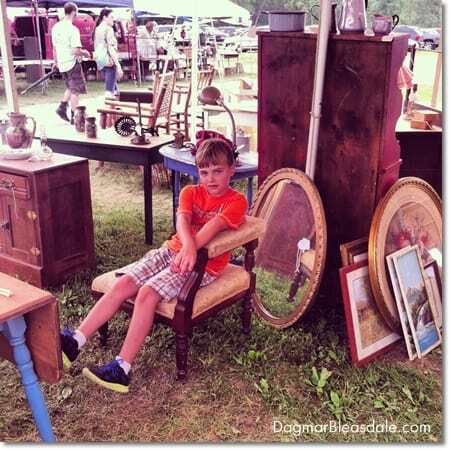 Have you ever visited a flea market? 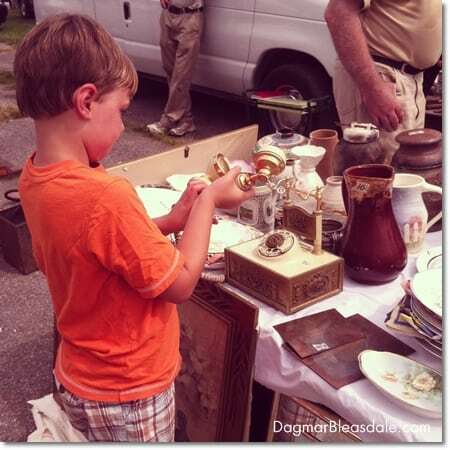 What kind of items do you look for when you visit a flea market? 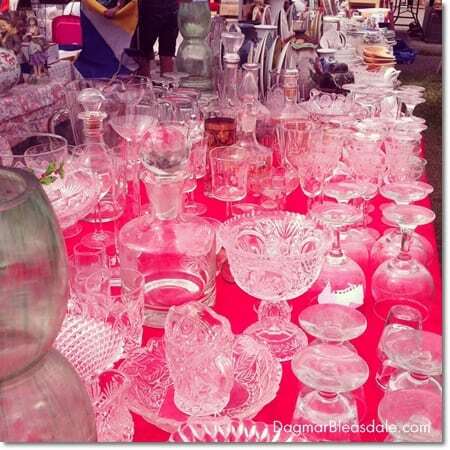 Houston has Traders Village which is a huge weekly flea market filled with everything to vintage/antiques, personal garage sales and even businesses! 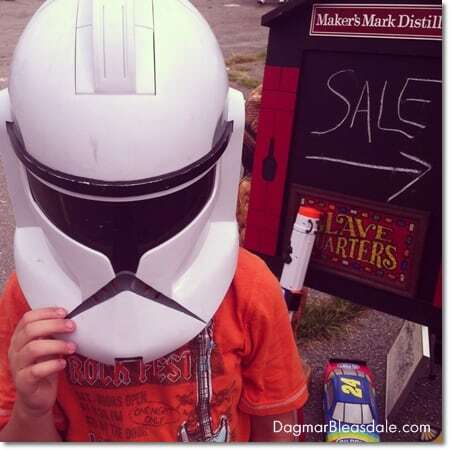 We love taking the kids, we always find something we can’t live without! 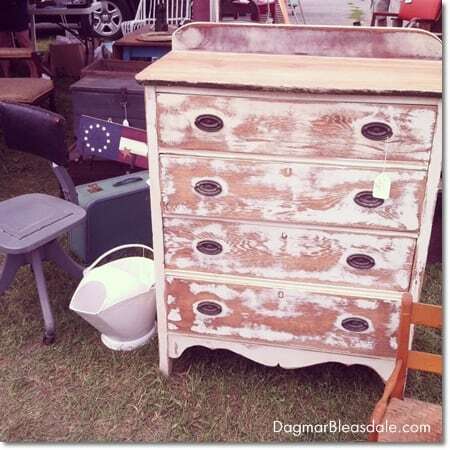 I absolutely love visiting flea markets and going antique shopping! Frames and pretty plates/kitchenware are my favorite things to find. Beautiful pictures! I love seeing what others find while thrifting! I like the L-shape chair a lot also. 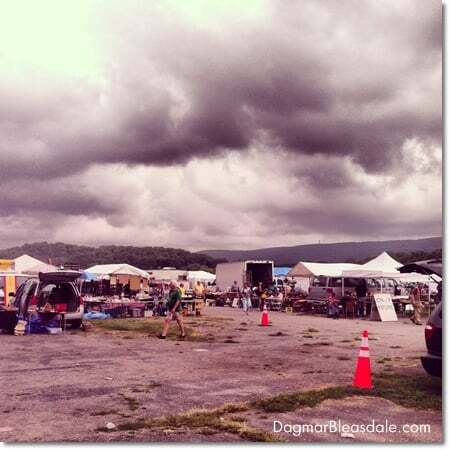 What a cool flea market. When I do flea markets or antique stores I never go in with a purchase in mind. I always browse and hope to get surprised by some unique treasure. 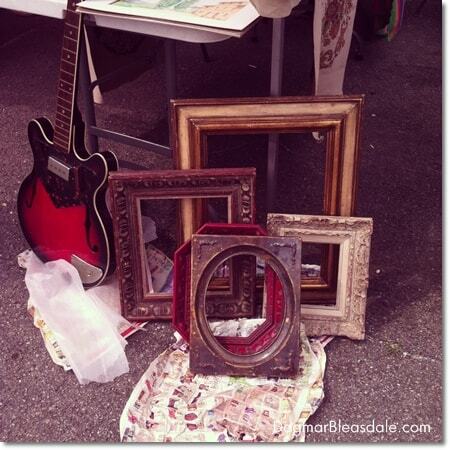 I love a good flea market, you never know what you’ll find! Wow, great finds. And nice pictures as well. Love the post. 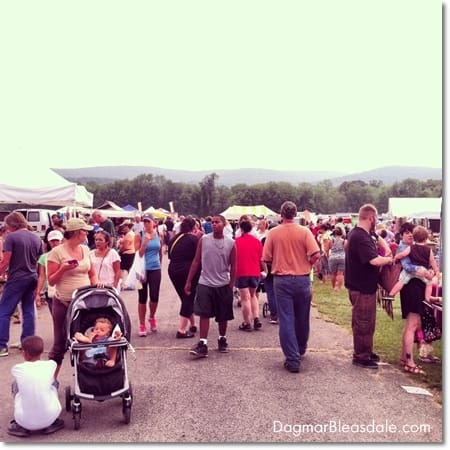 Oh I never been to a flea market! But this place looks awesome! All the wooden items got my attention! Hahah vintage is really fancy! This has inspired me to do more thrift shopping. I always like a bargain and usually you can never go wrong with thrifting. I have had this flea on my to do list! I love Dutchess County and its not a bad drive from NY. 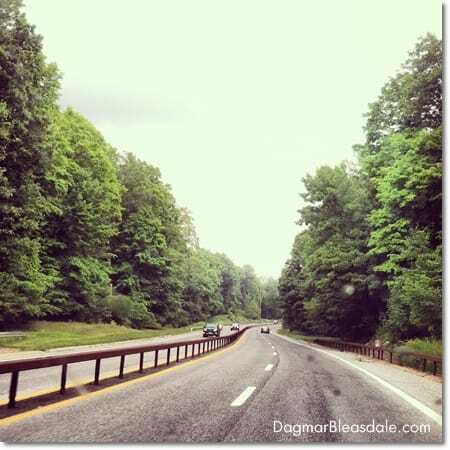 We live in Staten Island so its a nice drive up the Taconic! thanks for a peek at the treasures, looks like a really fun day. Not sure my 3 year old agrees. Vintage markets always get me SO excited . And it all looks so much fun! The only flea market I’ve seen was the one in Amsterdam, where there were a lot of clothes too (I’m really obsessed from Refashion, I have a group board on Pinterest too!! ); here in Italy there are some in the big cities, like Turin. I live in a little village between the mountains and sadly there are any. Sounds so idyllic where you live! Making my way to your blog, now I can’t wait to take a look! Thanks for your visit Dagmar! 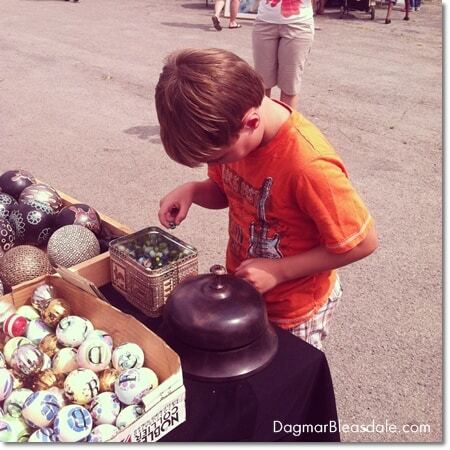 I used to love visiting flea markets as a child in Toronto! 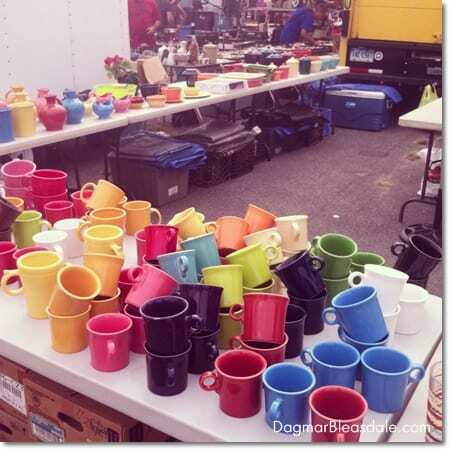 Unfortunately, flea markets aren’t a big thing here in Vancouver. I miss it. I really enjoyed looking at all your great finds. 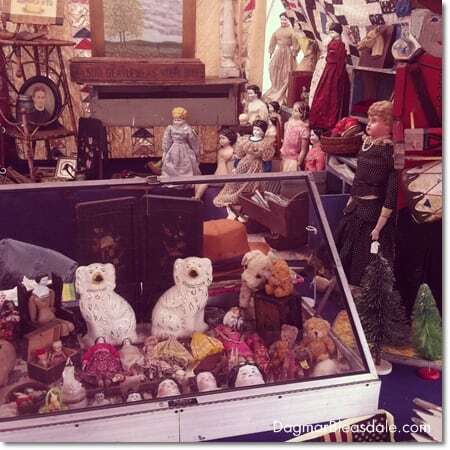 I never go to flea markets (I’m sure that statement makes you cringe)! I guess it’s because I’m not so good at looking at something and seeing the possibility it has. 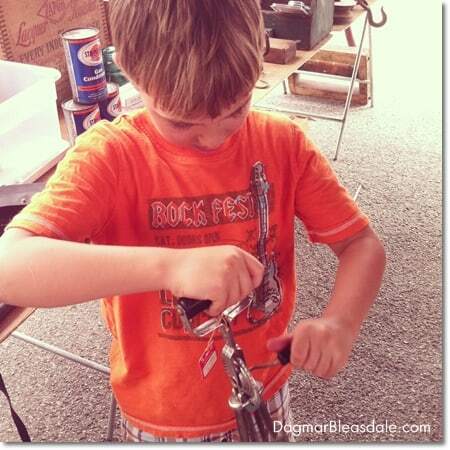 I envy people like you who can take something old and recycle it into something even better! I never have much luck at flea markets, but that one looks amazing! I tend to find most of my thrifty finds at secondhand stores. 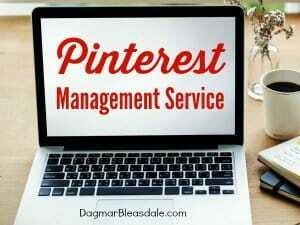 I will be participating in your link up for sure! 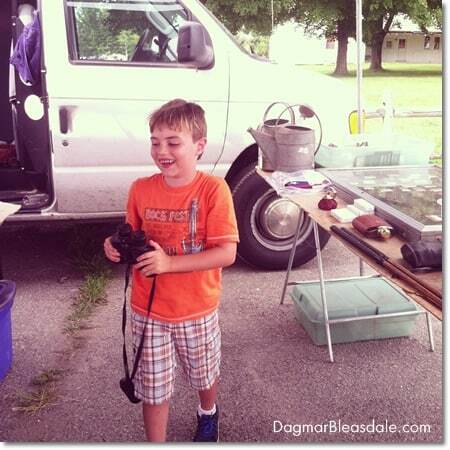 Thanks for sharing the cool photos! I’m a frugal person and love to upcycle anything! I upcycled rain gutters this spring and turned them into lots of planter for gardening. Thanks for sharing! Looks like your family had a blast! 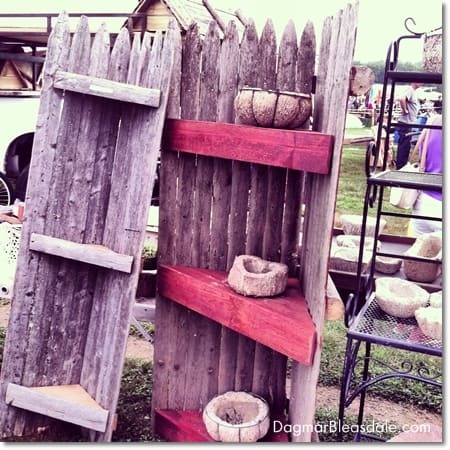 I really enjoyed the corner shelves made out of the old privacy fence! Nice article, thank you for the many ideas and the beautiful pictures!